Indie Retro News: Warp Drive +3 - Frogs in space for the C64! Warp Drive +3 - Frogs in space for the C64! 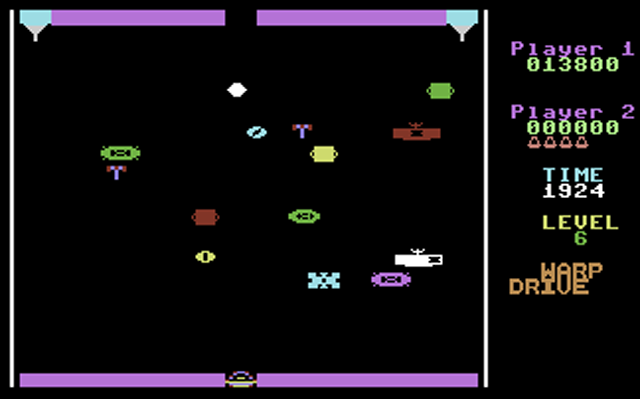 Warp Drive is a little known Frogger clone, where instead of a frog, you control a space-ship attempting to traverse a rather congested patch of interstellar highway. 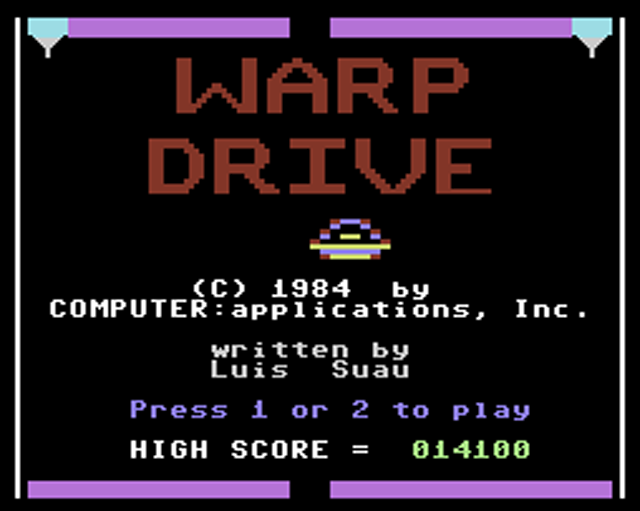 Released in 1984 by Computer Applications Inc., Warp Drive has been given a fresh release by The Genesis Project: Including an impressive loading tune, intro, and the assortment of cheats you'd expect. 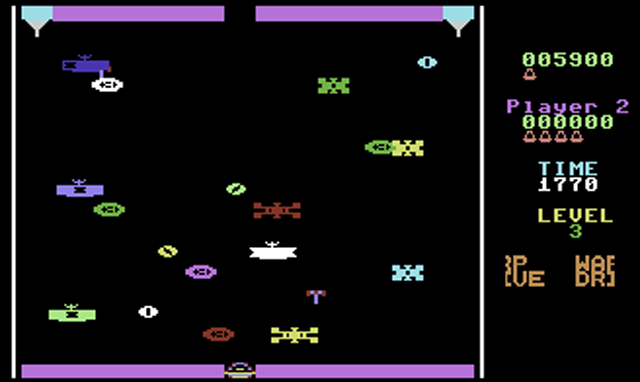 The game features 1 & 2 player modes, high score, increasing level difficulty and a variety of enemy space ships. Firstly, remember to put your joystick into Port 1, otherwise you'll only be able to fly your ship in 2 directions. I got to level 3 before working that out. But once I did, I was pleasantly surprised. The most important things in these types of games are tight controls, fair collision detection and difficulty. And this game has all of that. Graphically I'm fairly certain it didn't win any awards, but for a good few minutes of fun every now and then, this is a solid albeit repetitive frogger clone. This is a fairly nice arcade game, which I'm sure most people missed back in the day. And if not, a great chance to retry some solid arcade action from the early days of the C64.